The Office of the Head Bishop is patriarchal as well as episcopal in nature. As Patriarch of the Church, the Head Bishop is also Abbot of the Jamilian Order. The Head Bishop is the spiritual leader and chief administrator of the Church and possesses full power of governance in matters of faith, theology and doctrine. Filling the Office of Head Bishop is the Most Right Reverend Douglas Eugene Savoy, Doctor of Divinity and Theology. Bishop Savoy also serves as Rector of the Cathedral Church of the Americas, Pastor of the University Chapel, Chancellor of the Sacred College of Jamilian Theology, and President of the Jamilian University of the Ordained. As a teacher, Bishop Savoy has produced a steady stream of transcendent literature since 1957. His publications include nearly 50 theological and religious texts and over 400 recorded lectures. His Decoded New Testament and The Essaei Document: Secrets of an Eternal Race are major contributions to our understanding of the Essenes and the Dead Sea literature. These two texts, together with The Miracle of the Second Advent and The Lost Gospel of Jesus, serve as a suitable introduction to the doctrines and beliefs of the International Community of Christ, Church of the Second Advent. 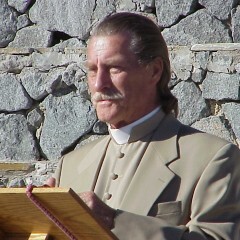 For more information on Bishop Savoy, please visit his personal Web site at www.genesavoy.org.